Mr. Dexter Burlew joined the RWMG team in the fall of 2018, bringing his experience from his financial management practice in Stafford, Va. His practice spans a diverse background, with clients across the eastern seaboard. Being a Navy veteran himself, Dexter has tremendous knowledge of the needs of both active duty and retired military, as well as Federal employees. Having been an entrepreneur since he finished his career in the Navy, he understands the challenges of small business owners here in the DMV. Additionally, he is well-versed in college financial planning for families and their students, having instructed thousands of students and their parents in College Financial Workshops across 4 school districts. Dexter has been an independent consultant since 2007, serving individual clients, corporate industry and the federal government in the financial management and investment fields. 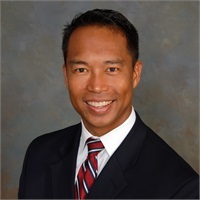 He holds an MBA in Financial Management from the Naval Postgraduate School in Monterey, CA and a Bachelors of Science in Industrial and Systems Engineering from the University of Southern California. Dexter's passion is teaching. He believes in educating his clients to be knowledgeable about their own financial future. Dexter's roots are in Southern California, where he grew to love USC Trojan football, the Los Angeles Lakers and the LA Dodgers. He serves frequently in his community, volunteering his time through Boy Scouts and his church youth programs. He himself is an Eagle Scout. Dexter loves to spend time with his wife and three daughters through travelling, sports and the performing arts.